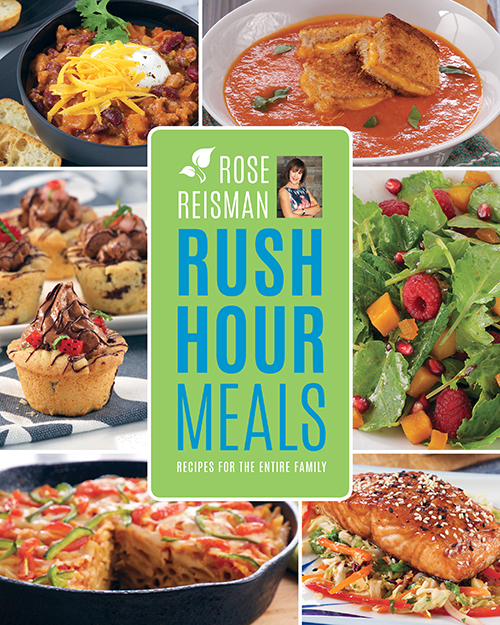 I received a copy of Rush Hour Meals by Rose Reisman from Whitecap Publishing for review. I was not otherwise compensated for this post, and all opinions are, of course, my own :) Make sure to check out the giveaway at the bottom of the post! After 10 years of marriage, it was time to say good-bye to the barbecue we bought in our first year of marriage. It had served us well, but now we feed 7 instead of two, and the grill space that had once seemed so adequate was becoming an increasing frustration…not to mention it was poorly-cared-for cast iron, and patchy with rust and other potential health hazards. The new barbecue has reignited Carl’s love of barbecuing, and I’ve been taking full advantage. Normally when I get a new cookbook one of the first things I try is a dessert, but not when dinner could be made for me! While the recipe calls for a seared and oven-baked tenderloin, pork tenderloin is one of our favourite things to barbecue because it’s so quick and stays so tender and juicy. 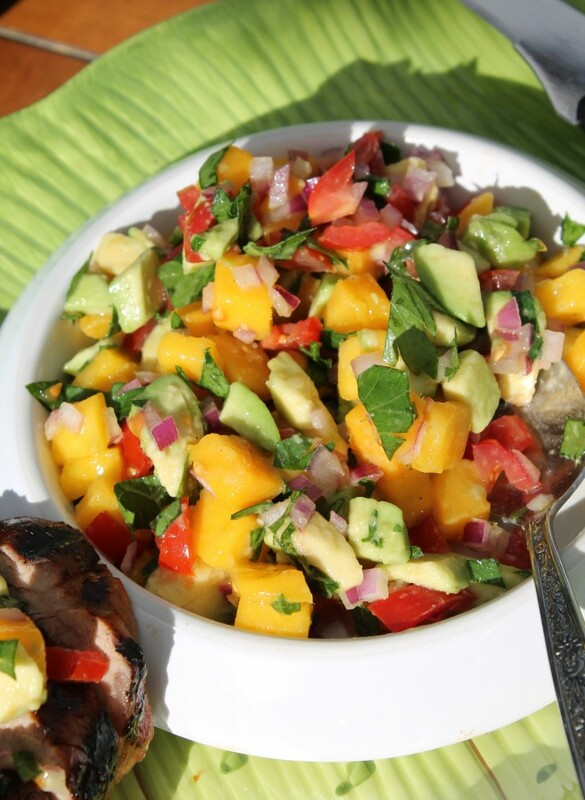 I also love fruit salsas, and the idea of this fresh mango-avocado mix on our pork tenderloin sounded like a pretty good idea. The kids were less enthusiastic about the colourful topping, so we left one tenderloin plain, but they would’ve liked it since they ended up enjoying the leftover salsa on nachos and tuna sandwiches over the next couple days. I’ve already bookmarked Greek Salad with Roasted Potatoes, Fresh Tomato Soup with Grilled Cheese Croutons, and Sloppy Joe Baked Potatoes for future dinners, not to mention Chocolate Mousse Cookie Cups for dessert…just look at that tomato soup on the front cover, doesn’t it look like pure comfort food happiness? 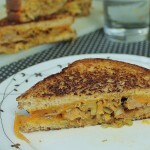 I’ll be updating the links at the bottom throughout the day so you can check out the recipes that some of my blogger friends made from the same book, I always love seeing what different things everyone is drawn to! And as for the recipe at hand, isn’t this salsa just gorgeous? (Don’t judge my dicing and mincing skills, I know I am wildly inconsistent and some of that parsley stayed a little aggressively large :)). I am a sucker for fruit and veggie platters because of all the colour they involve, and this salsa had the same effect, livening up the whole table with its beauty. 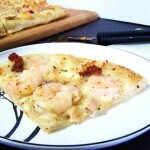 Perfect for outdoor dining, something I am trying to acquire a taste for since Carl enjoys it so much. 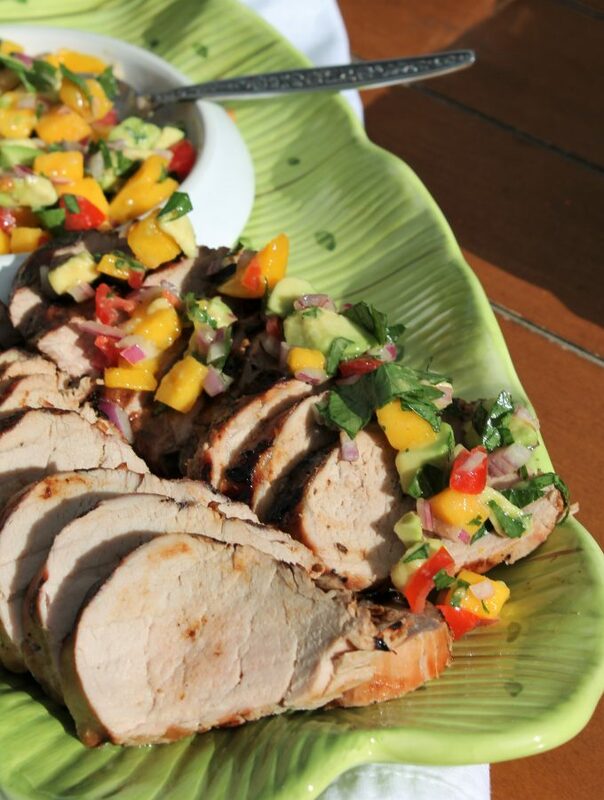 Tender, juicy pork pairs perfectly with a fresh and fruity salsa! Make sure you throw the meat in with the marinade a few hours before you plan to cook. Any leftover salsa is great with tortilla chips. Place pork tenderloins in large zipper-top bag and pour in teriyaki sauce. Close top and smoosh bag around with your hands. 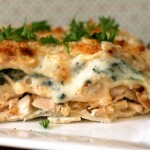 Refrigerate for at least 2 hours, and up to 24 hours. When ready to cook, let meat sit at room temperature while barbecue heats to about 400 degrees Fahrenheit. Place pork directly on the grill and cook for 20-22 minutes, turning a quarter turn every 5 minutes to sear all sides. 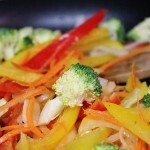 Remove to a dish and cover with tented aluminum foil to rest for 5-10 minutes to finish cooking and lock in juices. While pork cooks, prepare salsa: chop all ingredients and mix gently in a medium bowl. Add salt and pepper to taste. 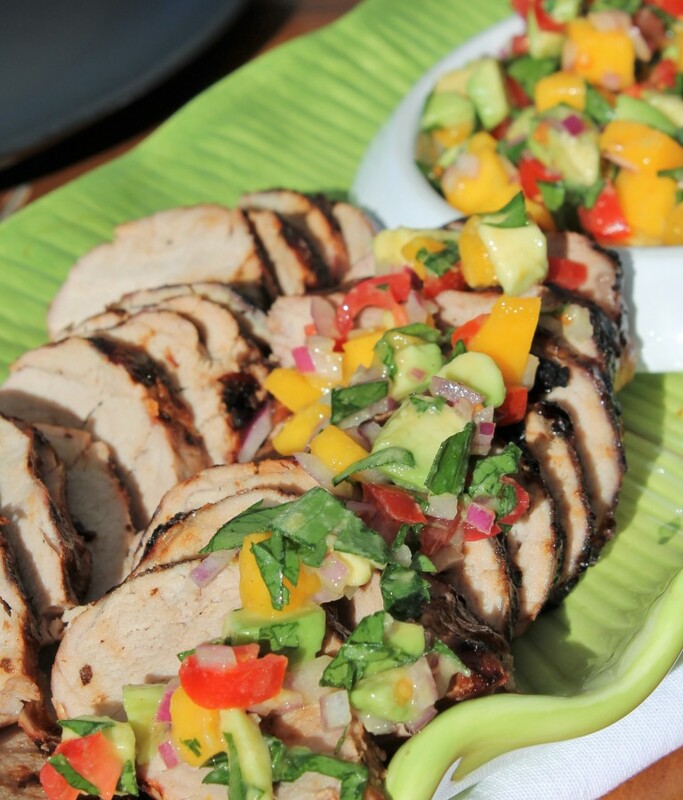 To serve, slice pork tenderloin and top with salsa. Salsa will keep, covered and refrigerated, for 3 days. Giveaway will run from Wednesday, June 15, 2016 at 12:01am to Wednesday, June 22, 2016 at 11:59pm. Winner is chosen at random via Rafflecopter. Winner will be contacted via email and given 48 hours to respond. If not, a new winner will be chosen. Winner selected must correctly answer a skill-testing math question. Winner’s name will be displayed on Rafflecopter widget. Email addresses will NEVER be given out to any third party or anyone for that matter. Prize value is approximately $25 Cdn. I like a lot of things BBQ’d – steak, veggies topped with feta cheese, tenderloin. I’ve even done bbq’d cookie’s while camping! You can do almost anything on a grill. Now if only I had a side burner… then I wouldn’t have to cook dinner inside during the summer, ever. Your chicken Caesar burgers are great on the BBQ and bacon Wrapped Asparagus. This salsa looks so yummy! 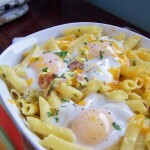 My family would love this recipe for sure!